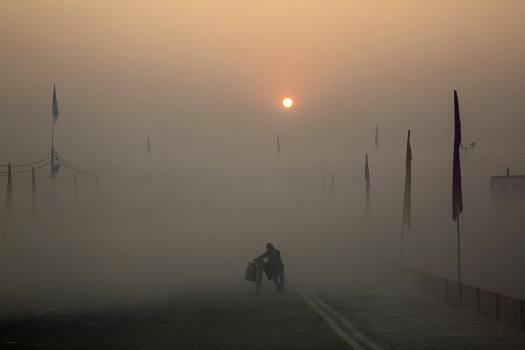 A man pushes his bicycle on the banks of river Ganges on a cold and foggy morning in Allahabad. 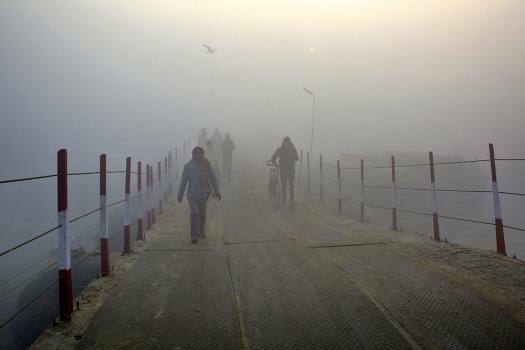 Devotees walk at Sangam the confluence of the Ganges, Yamuna and mythical Saraswati river on a cold and foggy morning in Allahabad. 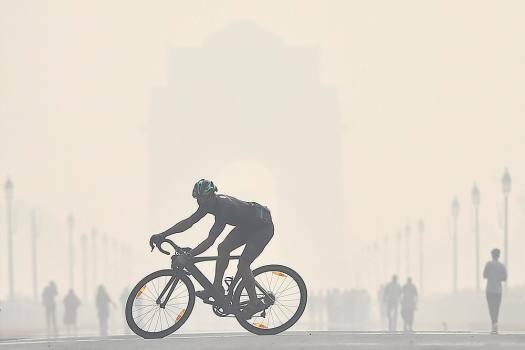 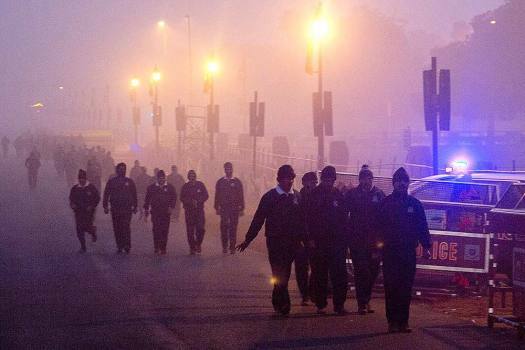 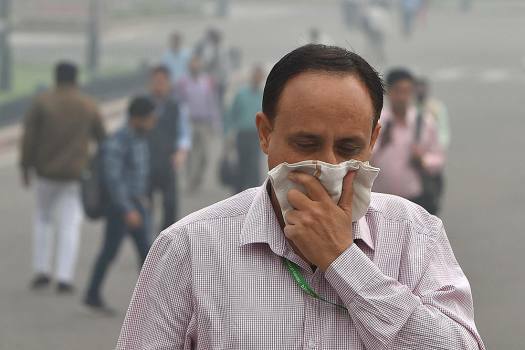 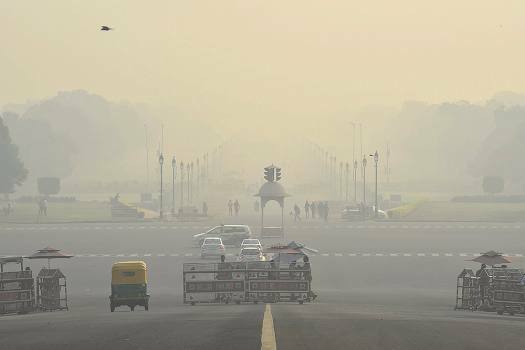 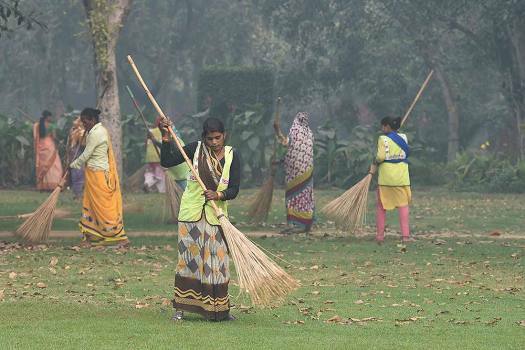 Central Public Works Department(CPWD) workers sweep at India Gate Lawns as thick haze engulfs the city, in New Delhi. 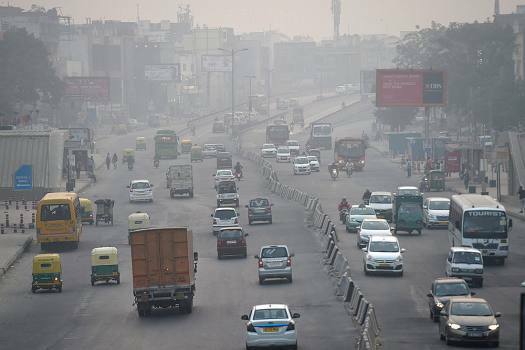 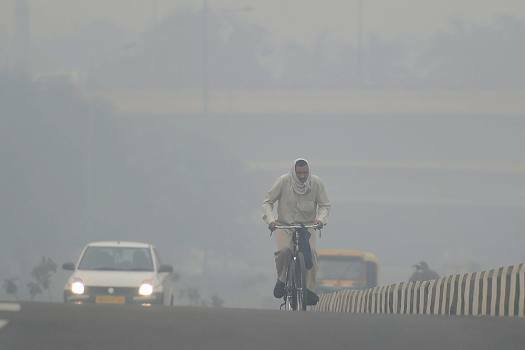 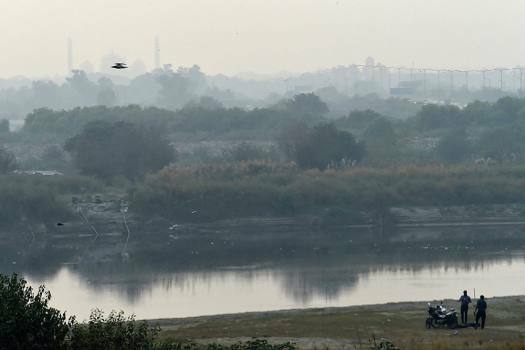 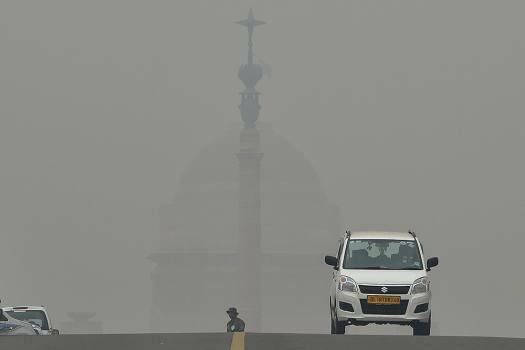 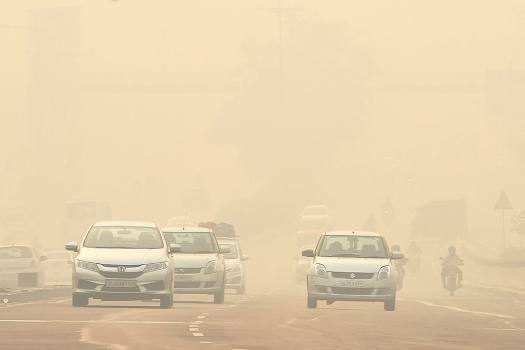 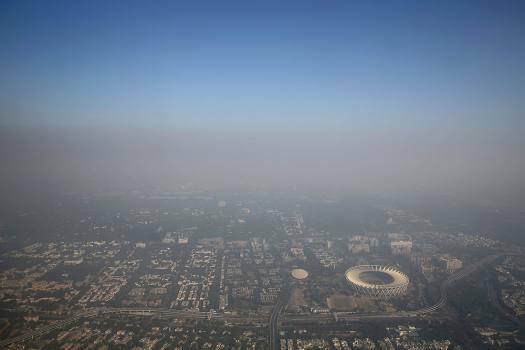 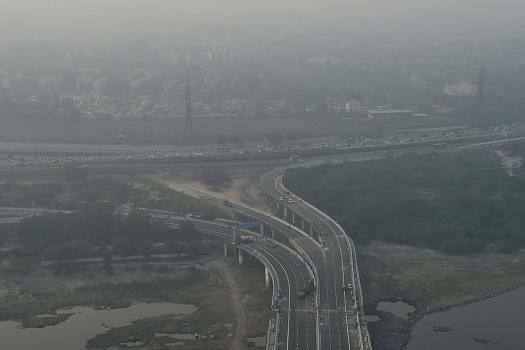 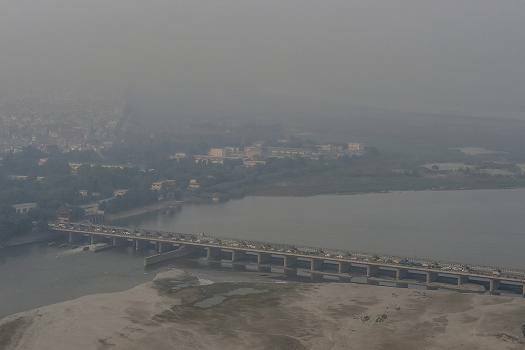 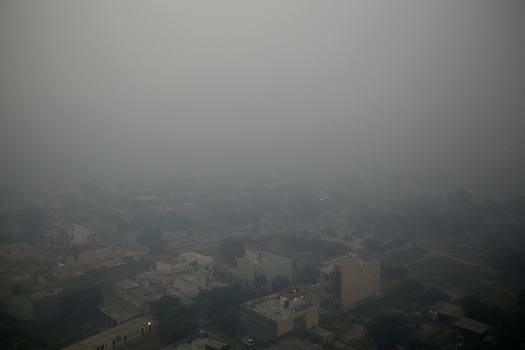 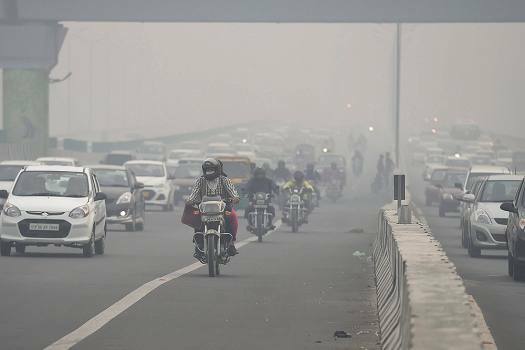 Vehicles move on Wazirabad bridge as thick haze engulfs the skyline, in New Delhi. 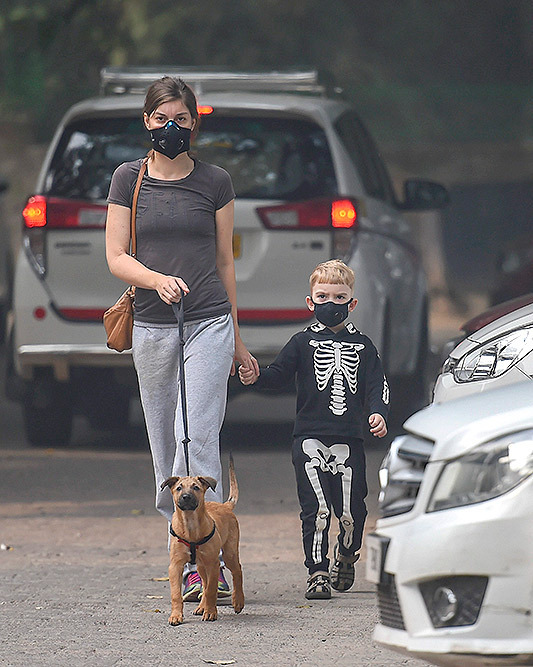 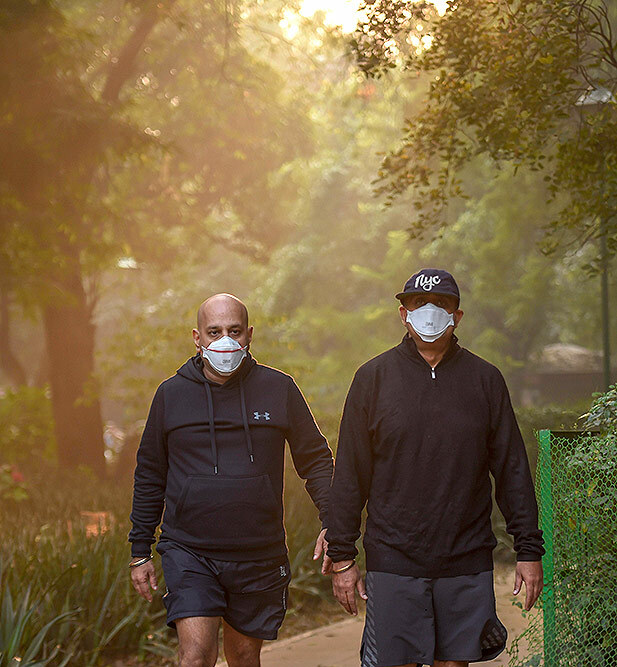 People wearing anti-pollution mask, jogs through smog at Lodhi Garden in New Delhi.